Thanks to the phenomenon of pareidolia, we're able to see human faces almost anywhere. But when you see a human face made out of bugs, or fruit, or naked women, is it delightful, or creepy? Or a little of both? 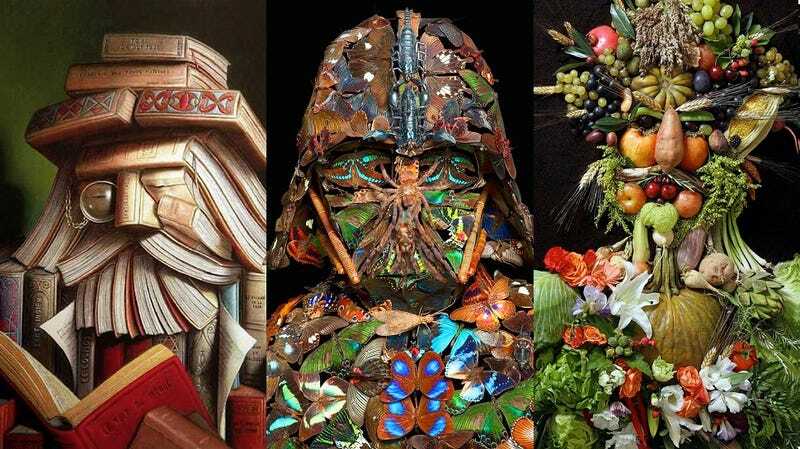 This phantasmagorical technique of composite portraiture was invented by Giuseppe Arcimboldo, a 16th century Italian painter — but people have taken it in many weird and fascinating directions since then. See for yourself!